On more than one occasion a friend has probably shown you an application on his/her phone that you've wanted to download straight away. Thanks to Homer you can browse from your iPhone all the apps that he/she has installed and access their download straight from iTunes. 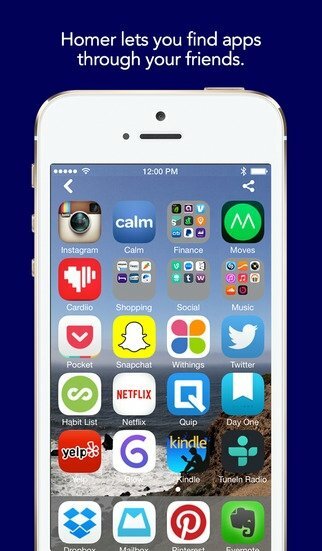 You can find out which apps your iOS-expert friend uses. 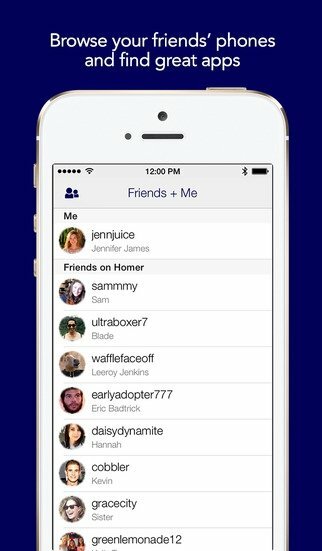 Homer lets you view which applications your friends, celebrities, technology experts or any other people have on their iPhone or iPad. 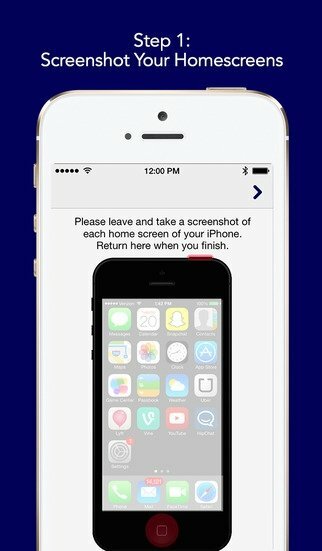 For such purpose, the user has to provide a screenshot of his/her home screen which is shared and accessible for the rest of users. 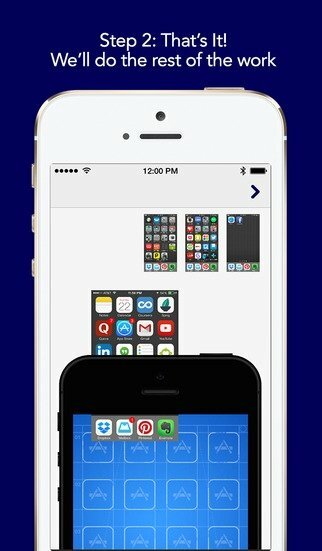 Take a screenshot of your home screen. Browse among your contacts and find out which applications they use. Download Homer Apps with Friends for iPhone and find out the applications used by people of your interest.